Sometimes you need a little more than straightforward copy editing and proofreading to strengthen your writing. That’s why I provide feedback, advice, and suggestions as standard. I proofread and edit your work from the audience’s perspective, and if I think your content could benefit from further changes, I’ll comment that in the document. Once you’ve made any amendments I’ll even check them again as part of my aftercare service. Suggesting you expand on important ideas or key points. Letting you know if I’ve made major changes to the structure or flow of your document. Asking you to clarify any writing, terms, or ideas that might be confusing to readers. Requesting small rewrites of a specific area if copy editing isn’t enough. Clarifying changes that I’ve made if they’re not obvious. Questioning anything that doesn’t quite make sense. Advice and feedback comes as standard with all of my proofreading and copy editing services, and there’s no extra charge. All writing benefits from having a second, independent person reading and commenting on your work. 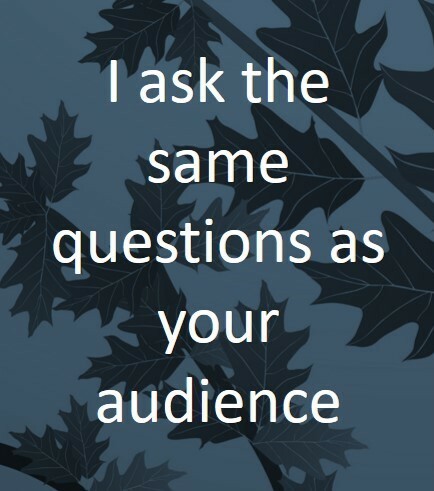 I ask the same questions that your audience might, and if I think your writing would benefit from answering those questions, I’ll let you know. You get the reassurance that our collaboration will create compelling, engaging content that people will enjoy reading. Wherever possible, I provide feedback and suggestions directly in the work, where I think a change might be needed. I use the comment function in Google Docs or Word so it’s easy to reference the specific questions or advice that I have. For more general comments, I include those in the email I send back to you. If there are specific parts of your work that you want me to review or comment on, please let me know. With over 20 years of experience as a professional copy editor and proofreader, I know what works and what doesn’t. 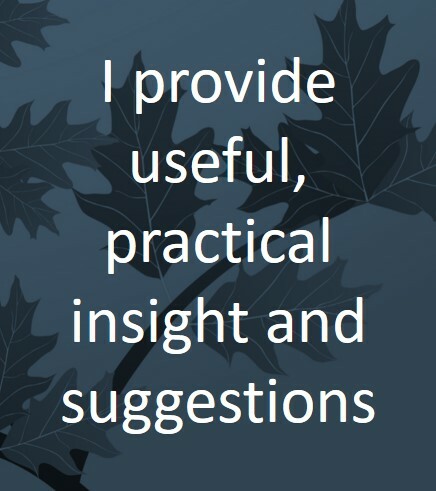 I use that expertise to provide practical, relevant comments that are easy for you to understand and respond to. I’ve worked on hundreds of different topics and I share that perspective with you to strengthen your work. I’ve provided advice and feedback on many different types of project. I’ve answered some of the more common questions about my advice and support services below. If your question isn’t covered, please get in touch and I’d be happy to help. I have a degree and postgraduate qualifications in journalism and copy editing, and have been editing for over 20 years. In my career I’ve been a managing editor of several scientific and academic peer-reviewed journals, an editorial director, and since 2006, a full-time, freelance copy editor and proofreader. I have a wide range of expertise across multiple subjects and I proofread and edit hundreds of pieces of work every year. I’ve shared more details on my background and experience. Is there any charge for providing advice and suggestions? 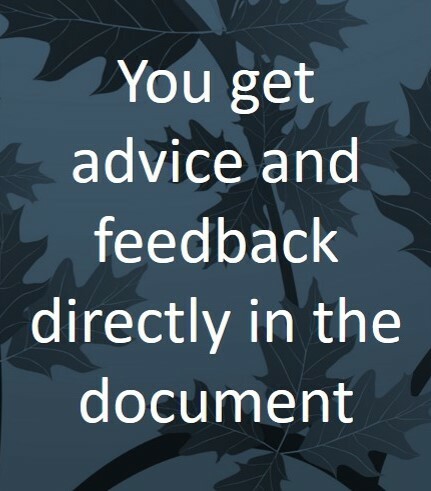 No, I provide feedback, advice, and suggestions as standard when you ask me to proofread or copy edit your writing. Can you provide specific feedback and advice? If there’s a specific area that you want me to focus on when providing advice and feedback, just let me know. Do you provide developmental editing? No, my advice and suggestions are not of a developmental nature. They’re intended to help you polish and enhance work that you’ve already completed and just need to tweak slightly. What areas does your advice and feedback focus on? Clarification - I'll ask questions to ensure your points are as clear as you intend. Structure - I'll make suggestions on how you can restructure a document if I think that would improve it. Language use - ﻿﻿﻿I'll provide feedback on language use, 1st, 2nd, and 3rd person, active vs. passive voice, vocabulary, and the like. Jargon - ﻿﻿﻿I'll identify any jargon that might not be clear to your readers. Duplication - I'll alert you to any redundant or unnecessary content. Polish - ﻿﻿If I think something could be improved, I'll let you know.